PRESS will be operating on a limited schedule during the Spring 2013 Semester. 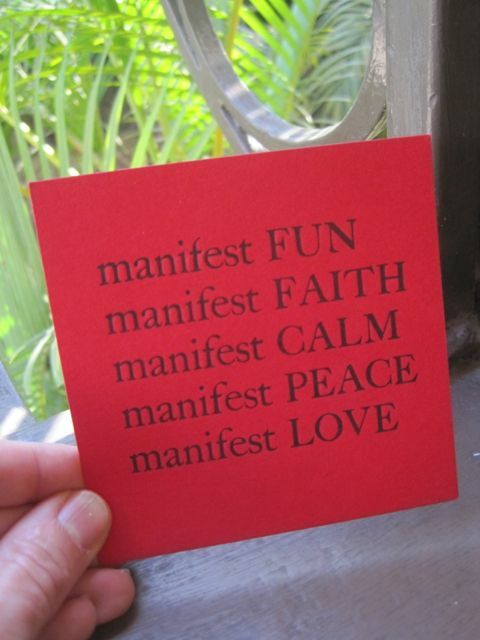 Instead, you will find me out in the world, sometimes with my partner in crime Douglas giving out MANIFEST cards. It my/our way of trying to help spark the change I/we want to be and see in the world. It’s also about encouraging whomever to go into themselves, and find the inner fun, faith, calm, peace and love to manifest anything and everything in one’s life. 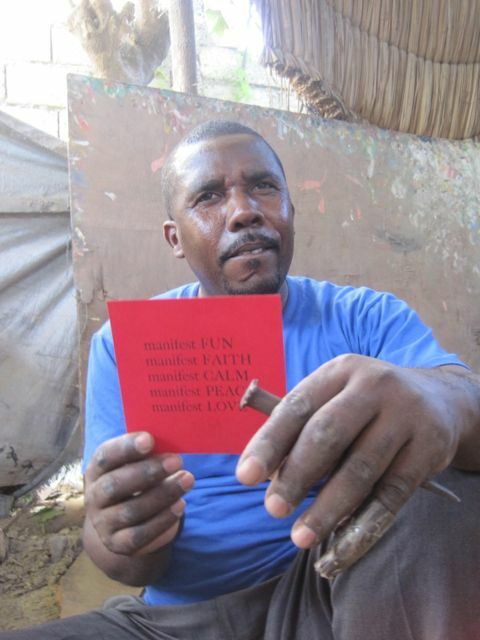 Right now I am in Haiti with eight MCLA students and Jonathan Secor learning as much as I possibly can about contemporary Haitian Art and giving out MANIFEST cards to those I meet. Here’s one of my recipients. Once I return to the States, and throughout the Spring Semester, you will find me at home in Cheshire, working in North Adams, and traveling to Milwaukee, Chicago, maybe Maine and who knows where else, with cards in hand, giving them to strangers and friends alike. Not in my tour? You can get one with a bird, if you join PRESS as a member. Download Membership 2013 and send it in. It’s the free print that you get when you join at the Albion Level. 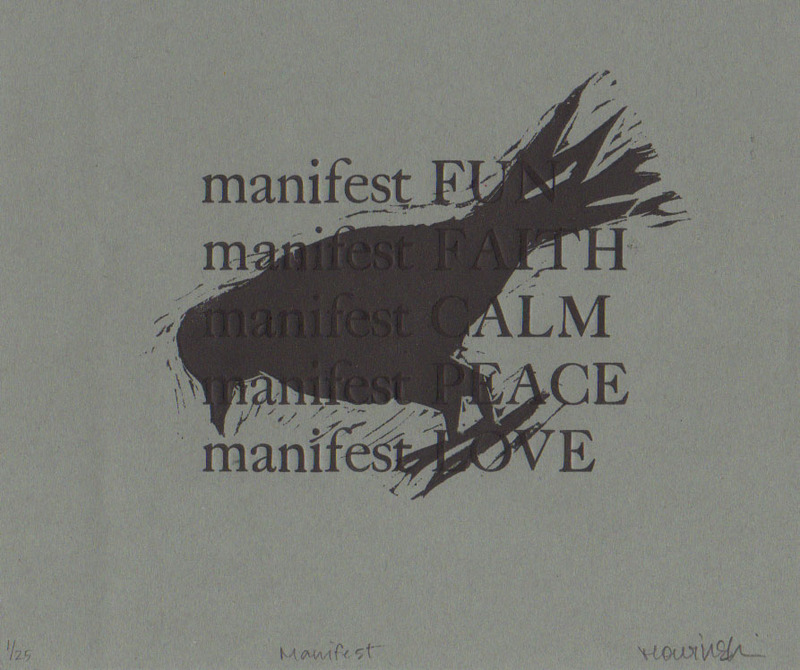 Tags: Bonne Soleil, Haiti, Manifest, melanie mowinski. Bookmark the permalink.